Ask about our private locations in the City of Industry, Walnut, Pomona, Pasadena, Burbank, Norwalk, Long Beach, Seal Beach, La Mirada, San Pedro, Redondo Beach, Studio City, Chatsworth, Moorpark, Calabasas and Santa Clarita. There are great beach locations for special events in Long Beach, Pacific Palasades, Malibu, El Segundo, Seal Beach, Oxnard and Ventura. 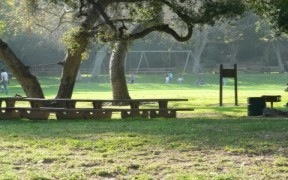 In the East Valley, some great park venues include San Dimas Canyon Park, Bonelli Park, Whittier Narrows Schabarum Park, Arcadia Park, Santa Fe Dam, Victory Park, Brookside Park, Crescenta Valley Park, Scholl Canyon Park and Verdugo Park. 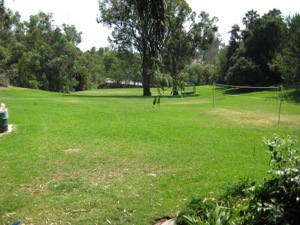 In the South County, some great park venues include Cerritos Park, El Dorado East, La Mirada Regional, El DoradoWest, Santa Fe Springs Park, Marine Stadium, Rainbow Harbor, Queen Mary Events Park, Torrance Park, Wilson Park, El Nido Park and Columbia Park. 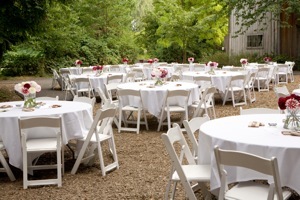 In the West Valley some great park venues include Santa Susanna, Oak Park, Veterans Park, El Cariso Park, Pacific Palisades Park, Conejo Creek Park, Castaic Lake, Malibu Creek and one of our favorites, the Malibu Bluffs. Producing company picnics and catering for special events in the cities of Agora Hills, Alhambra, Arcadia, Artesia, Avalon, Azusa, Baldwin Park, Bell Gardens, Bellflower, Beverly Hills, Bradbury, Brentwood, Burbank, Calabasas, Carson, Cerritos, Claremont, Commerce, Compton, Covina, Cudahy, Culver City, Diamond Bar, Downey, Duarte, El Monte, El Segundo, Gardena, Glendale, Glendora, Hawaiian Gardens, Hawthorne, Hermosa Beach, Hidden Hills, Huntington Park, Inglewood, Irwindale La Canada Flintridge, La Mirada, La Puente, La Verne, Lakewood, Lancaster, Lawndale, Lomita, Long Beach, Los Angeles, Lynwood, Malibu, Manhattan Beach, Maywood, Monrovia, Montebello, Monterey Park, Norwalk, Palmdale, Palos Verdes, Paramount, Pasadena, Pico Rivera, Pomona, Rancho Palos Verdes, Redondo Beach, Rolling Hills, Rosemead, San Dimas, San Fernando, San Gabriel, San Marino, Santa Clarita, Santa Fe Springs, Santa Monica, Sierra Madre, Signal Hill, South El Monte, South Gate, South Pasadena, Temple City, Thousand Oaks, Torrance, Vernon, Walnut, West Covina, West Hollywood, Westlake, Whittier. "Our employees loved it, the food was excellent, the entertainment was fabulous and the park was fantastic."